Patrick Nurre was in the second grade when he discovered his first big find — a large dinosaur bone in the alley behind his house! That was the beginning of a lifelong love of geology and earth science. He is a popular speaker at homeschool and church conventions on geology, the Flood, and creation/evolution. He teaches numerous private and homeschool classes in the Seattle, Washington, area, in addition to leading field trips to Mt. St. Helens, Mt. Rainier, and annual family trips to Yellowstone National Park. Patrick is a certified Biblical Creation ministry professional and is the vision behind Northwest Treasures, a non-profit devoted to high quality geology curricula, kits, and samples. He believes that a well-founded faith needs to be solid in this vital area of science. To this end, he also operates the Geology Learning Center in Lynnwood, Washington, a museum devoted to helping educate the public about geology and the Flood through displays and classes. He has written 17 books for geology study for all ages. His books and classes are from a young earth view. Patrick and his wife live in the Bothell, Washington area. They have three grown children and two lively grandchildren! To see more geology resources, visit his web site at NorthwestRockAndFossil.com. 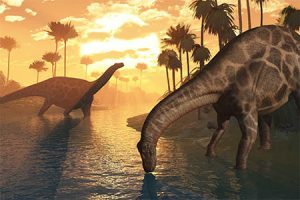 Dinosaurs and the Bible is a sixteen-week course presented from a Creationist worldview. It will try to solve some of the mysteries surrounding dinosaurs and dispel some of the myths. What do believers in the Bible do with dinosaur fossils? Those who believe in the Bible have been ridiculed and misunderstood for over 250 years. This class will attempt to set the record straight. Geology: Patrick Nurre, owner of Northwest Treasures and a popular conference speaker, is offering audio/video slideshows and weekly worksheets to help you discover the amazing world that God has created. 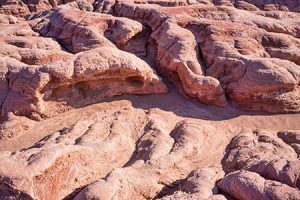 Unit 1 covering Rocks and Minerals offers sixteen weekly lessons explaining how to identify various types of rocks, the roles each type of rock plays in our world, and how geology points to a Creator. Unit 2 covering the Geology of Our National Parks offers sixteen weekly lessons. From glaciers to volcanoes, explore the vast wealth of geology found in the United States National Park System.